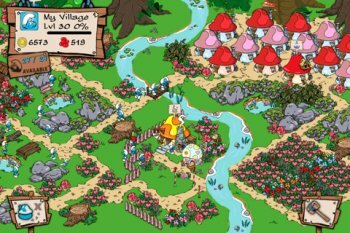 A growing number of complaints about surprise smurfberry bills reportedly has Capcom and its "freemium" game Smurfs' Village in some hot water with Apple. Last week we told you about the eight-year-old girl who rang up a $1400 smurfberry bill while playing Smurfs' Village on the family iPad. It was an amusing tale of woe that had a reasonably happy ending thanks to Apple's willingness to reverse the charges, but it turns out that it wasn't actually an isolated incident and Apple isn't too happy about it. Capcom's "freemium" game charges $99 for a wagon of smurfberries and before you ask, no, that is not a typo, that is ninety-nine dollars for a wagon of smurfberries. That's ridiculous enough in itself but the real problems arise thanks to the 15-minute window opened by iTunes after an account password is entered; during that time, any and all content can be downloaded without restriction. In other words, if mom uses her password to buy a $5 bucket of smurfberries and then immediately turns the game over to her child, that child has 15 minutes to wheel in as many truckloads of smurfberries as she can. It's not a cool situation and while most parents caught up in the mess have been given refunds, Apple has apparently had "strong words" with Capcom over the matter. Whether Apple will take further steps against Capcom isn't clear, but word on the street is that it is considering a reduction of the 15 minute iTunes password window to something closer to five minutes in order to reduce the number of accidental purchases across the board. Why that wasn't made a user-selectable option with a default of "no window" in the first place is beyond me, but better late than never, right?